But it wasn’t always this way. Midway through his career Joe had felt as if he was being bombarded from all sides. His job was demanding, his family was growing and the volunteer positions he had accepted were becoming overwhelming. He felt like he was spending lots of time at board meetings but not really getting anything worthwhile accomplished. Like so many of us, Joe was ready to “throw in the towel,” resign his board positions and seek success elsewhere. Fortunately Joe’s wife, Patricia, saw his distress and introduced him to Natalie Benson. In turn Natalie convinced Joe to seek the OnTarget way. Join Joe as he shares his journey of discovery and accomplishment, and learn the 8 Indisputable Behaviors that distinguish high achieving board members from all the rest. 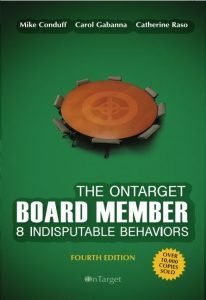 Attend a board meeting and see how the behaviors transform any board – non-profit, for-profit or civic, into a high performance team. Told in an engaging and compelling story fashion, and examined through the eyes of Ivan John, a reporter for the Sunday News, Joe’s recipe for excellence—the 8 Indisputable Behaviors—are brought to life. 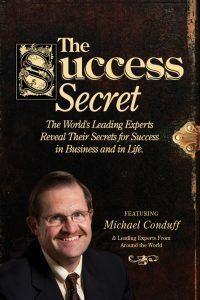 Mike’s second best-seller with Jack Canfield contains another wonderful story designed to highlight the principle of defining the target BEFORE you try to hit it. 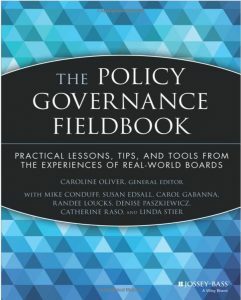 Based on the notion of “Ends” in Policy Governance(R) language, the use of the target is designed to draw attention to what City Councils and other Boards of Directors must do in order to delegate effectively. 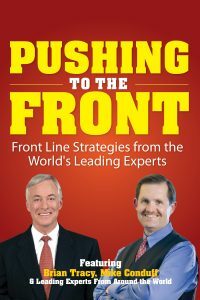 Pushing to the Front (with Brian Tracy) is Mike’s first bestseller! In it Mike explores Freedom Through Limits – How Setting Boundaries Can Empower Your Team and Your Life. As adults we have a tendency to think of boundaries or barriers as limiting; something to break through or blow by, when in reality a thoughtful boundary can be incredibly empowering and freeing. Read the story and start empowering your self and your team today! Few factors are as critical to the success of local government professional managers and the organizations they lead as is the quality of the relationship between the elected officials and the manager. 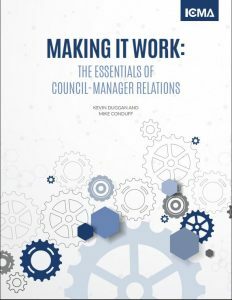 Making It Work: The Essentials of Council-Manager Relations, a new e-book from ICMA, provides the competencies needed to build a relationship that is based on mutual respect, understanding of roles, and open communication. With eight chapters written by Mike Conduff and Kevin Duggan, two local government experts, Making It Work: The Essentials of Council-Manager Relations, challenges early and seasoned local government professionals to create connections and forge the bonds necessary to tackle the difficult issues that inevitably face all professionals at some point during their careers. Making It Work describes and shows the combination of relationship competencies and operational competencies that underpin a solid foundation for effective council-manager relations. Local government professionals will find useful insights and approaches not-uncommon to council-manager relationship challenges, from using interpersonal and communication skills to best advantage, to learning how to manage the bumps in the road. We all know an organization’s most valuable resource is its employees. 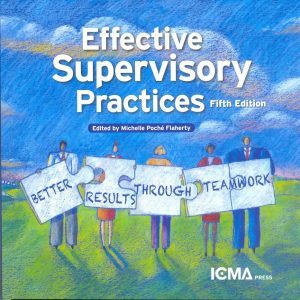 ICMA’s newest edition of its best-selling Effective Supervisory Practices: Better Results through Teamwork gives today’s managers and supervisors a powerful tool for understanding the many dimensions of the supervisory role and their impact on helping to improve productivity, implement quality management, and build an effective work team. The book serves as the core text for the study guide Effective Supervisory Skill Building, which is designed to probe the topics of the book in more detail and at a level specific to your own workplace. In combination, the book and study guide comprise what we call a course, bringing together basic principles of supervision, based on behavioral studies and other research, and practical guidelines for improving your supervisory skills and applying Effective Supervisory Practices on the job. Join Mike Conduff and several of his ICMA colleagues as they discuss the behaviors everyone needs to supervise others well. 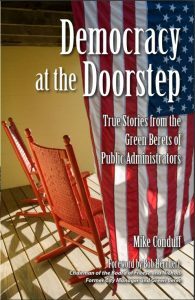 Democracy at the Doorstep – True Stories from the Green Berets of Public Administrators and Democracy at the Doorstep, Too! 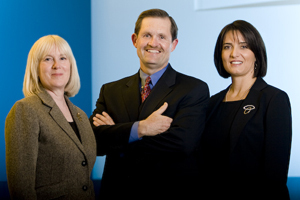 are real stories from real professionals in the local government world. Master storyteller Mike Conduff has brought along some of his friends! While life in the fishbowl of public management is never easy, it is often especially challenging for women professionals. In many cases a woman has been a “first” or even an “only” and being the first or the only can be demandingly difficult – and also remarkably rewarding. 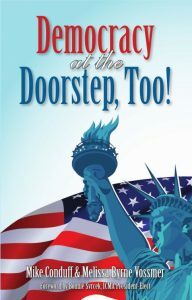 Following on the incredible success of Democracy at the Doorstep – True Stories from the Green Berets of Public Administrators, this collection of more true stories deals exclusively with women professionals and showcases the exceptional commitment that these “special forces experts” bring to their field. The stories are inspirational, insightful and instructional. You will laugh out loud at some, cry at others and be amazed at them all with the barriers experienced and overcome, the innovations instituted, and the lessons learned and taught. Democracy works because Local Government works, and women professionals are a key component of both! Fiscally Responsible Leader in the Sustainability Movement? From wall wart reduction to hybrid police cars to major projects like energy efficient street relighting, cities and counties all across the country are examining their energy use and carbon emissions and implementing solutions. Many are doing it because it is the right thing to do. Some are doing it as part of community wide citizen led initiatives. Others are simply trying to save money any way that makes sense. Bottom Line Green is our attempt to honor the leading edge communities and to encourage the rest. In local government, where the reward for risk is small, few cities or counties want to be first, but almost all want to be first to be second. For those of you who have been first – many thanks! For those of you waiting to be first to be second – the time is now! The trail has been blazed. 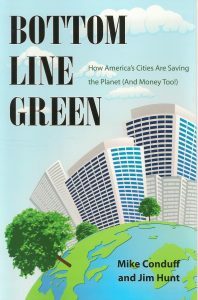 Being Green and adding to the bottom line; saving the planet and saving money too is an achievable reality.